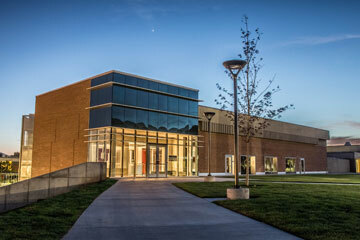 Take a glimpse at the great facilities and the people who make up the Utah cross country and track & field program. 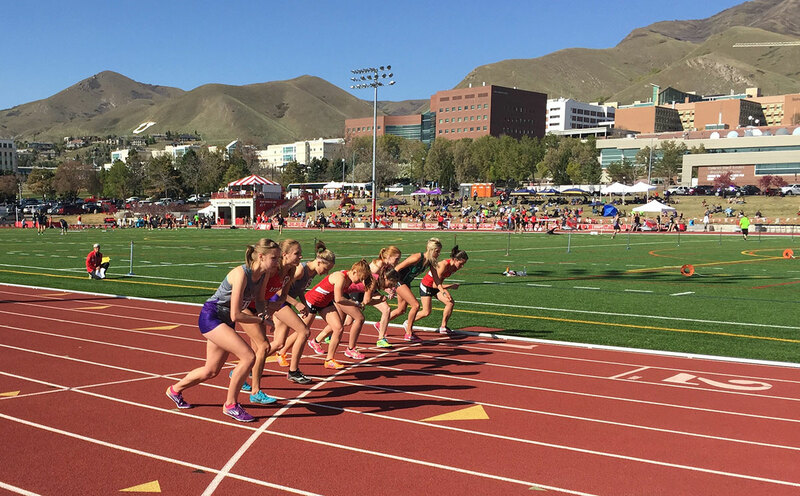 Tag along with Jessica Sams to experience what a typical meet day is like for a Utah student-athlete. 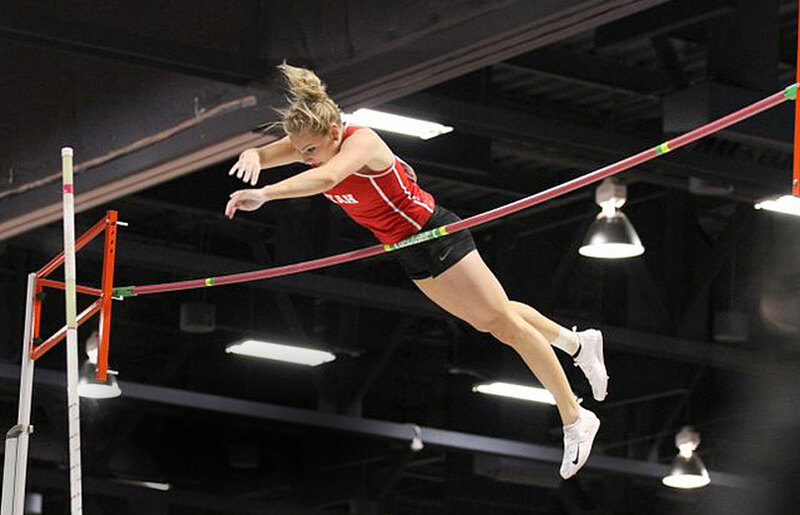 Led by NCAA All-Region performer Sarah Feeny, Utah experienced a season of growth in 2018. Following an impressive showing at the Battle in Beantown in mid-October when Utah beat out four ranked teams, the Utes worked their way into the national rankings the following week at No. 24 in the USTFCCCA poll. Feeny was the gold medalist in her first race back from a two-year mission at the Sagebrush Invitational in Logan, Utah. 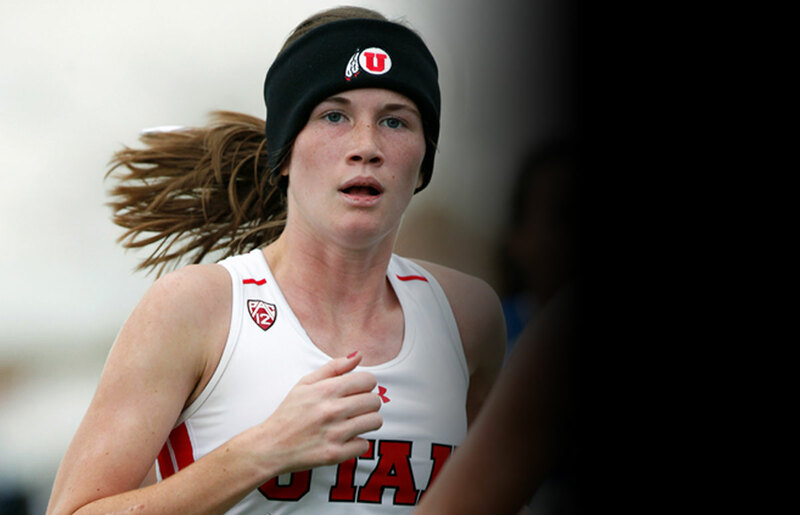 Feeny also paced the Utes in the postseason by finishing 21st at the Pac-12 Championships and 25th at NCAA Regionals. Freshman Scarlet Dale was another bright spot for the Utes, coming in as their top finisher in two of her five outings. Freshman Sophie Ryan and redshirt freshman Cara Wollnough joined Dale by finishing in the top five at the CSI Invitational. 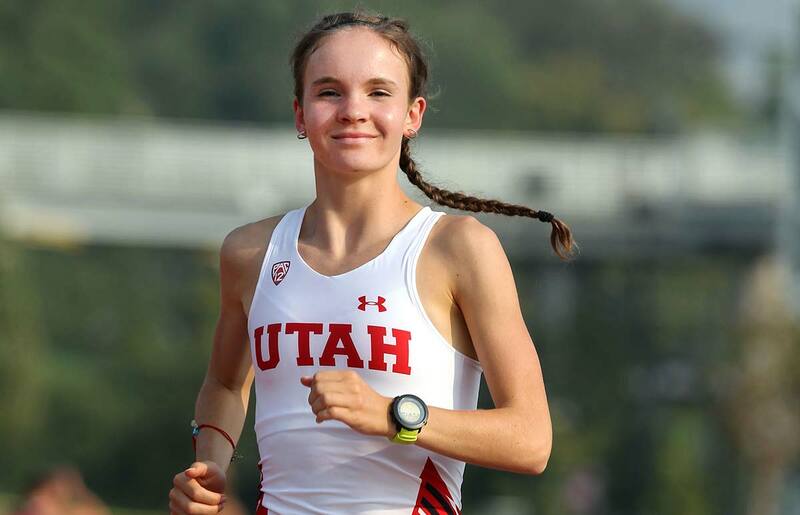 At the Utah Open, redshirt sophomore Emma Christiansen was Utah's top scoring finisher while sophomore Bella Williams, who ran the race unattached, won the race in dominating fashion. Utah returns a talented team in 2019 with Feeny, Dale, Ryan, Woolnough, Christiansen and Williams all returning. Junior Poppy Tank, who did not race last fall, is a two-time NCAA All-Region performer in cross country and recently qualified to represent the United Kingdom's Under 23 team at the European cross country championships. 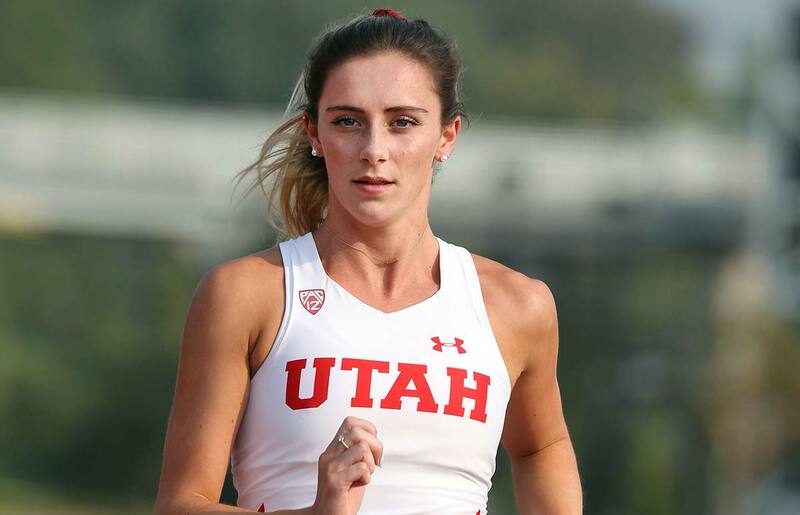 Utah returns two NCAA Outdoor West Preliminary qualifiers from a year ago, has one more back in the program following a two-year mission, and welcomes some talented newcomers into the fold for the 2019 season. 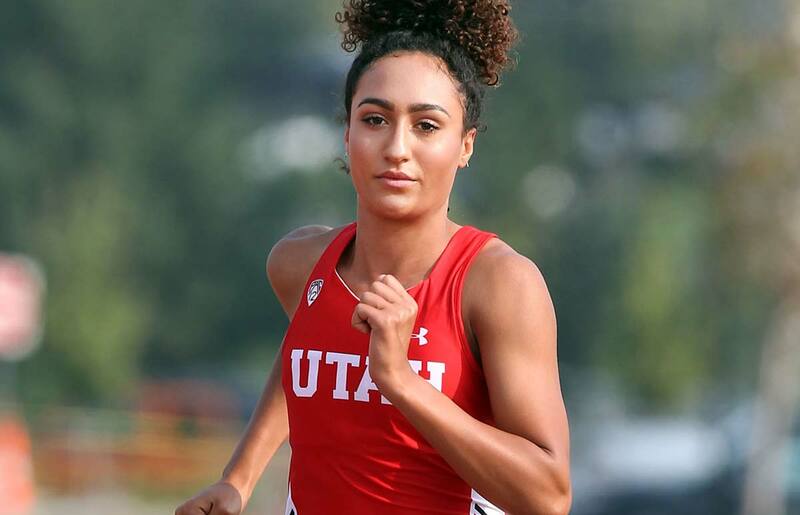 Senior Raynee Helm-Wheelock ranks third all-time at Utah in the indoor 60 meters, fifth in the indoor 55 meters and fifth in the outdoor 100 meters. 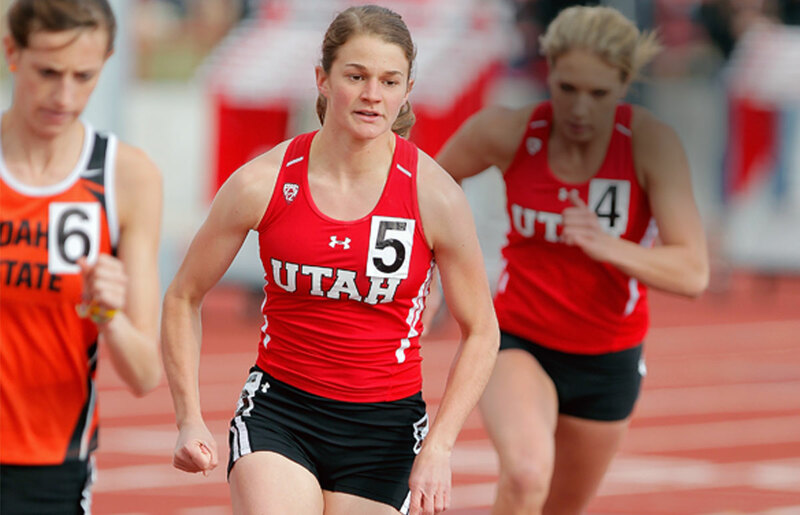 Sophomore Jackie Martin ranks eighth in the Utah record books in the 200 meters. 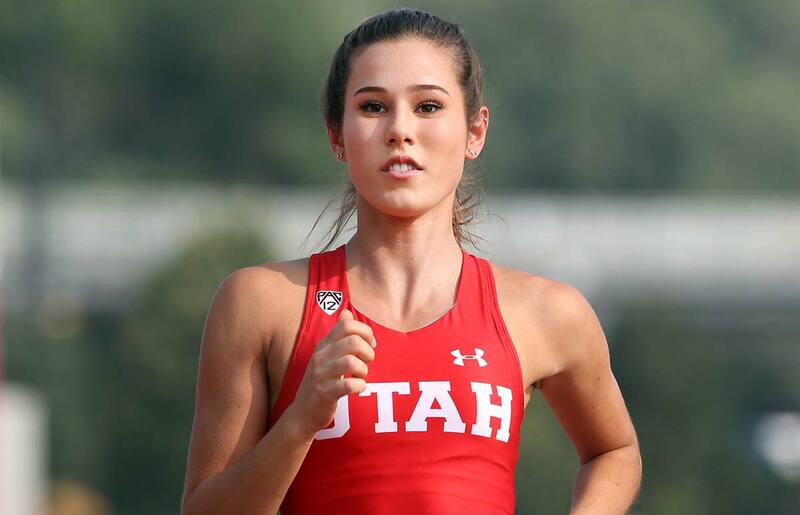 She was also a part of the 4x400 indoor relay team that ranks third all-time at Utah, as well as the 4x100 outdoor relay team that set the school record last season. Junior Sarah Newton placed seventh in the 800 meters at the 2018 Pac-12 Championships to move on to the NCAA West Preliminary Round. 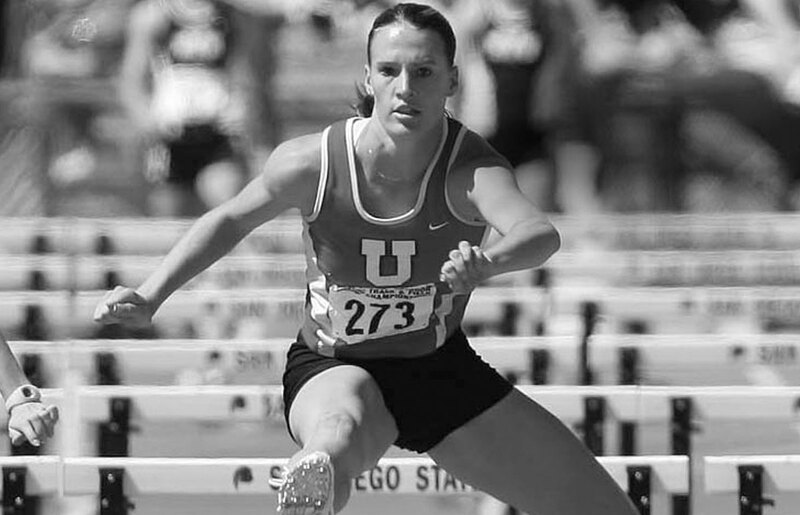 Newton ranks eighth all-time at Utah in both the indoor and outdoor 800 meters. Junior Caitlin Faust placed sixth in the 800 at the Pac-12 Championships and qualified for NCAAs, where she advanced to the West Preliminary semifinals. 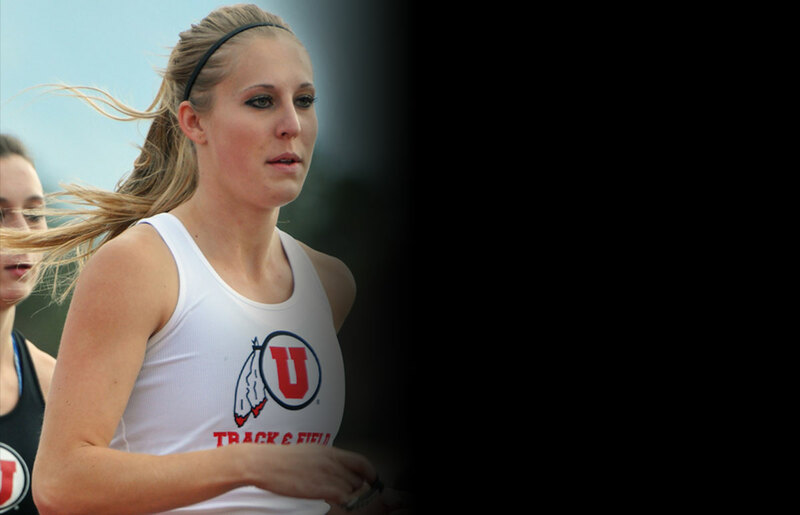 Faust is listed sixth all-time at Utah in the outdoor 800 and seventh in the indoor 800. Brooklyn James, who also competes with the Ute soccer team, won the 2018 6A Oregon state championship in the 400, finished sixth in the 800 and helped the 4x100 relay team finish third. Senior Megan Killian finished 22nd at the 2018 Pac-12 Championships in the 1,500 meters. Junior Sarah Feeny was a key contributor to the program before she was away the last two years on a mission. Feeny competed back-to-back years at the NCAA West Preliminaries in the 1,500 meters and in 2016 notched a top-20 finish. Sadie Wassum looks to take that next step forward during her senior season and move on to the NCAA preliminary round in the 1,500 meters after coming close to qualifying throughout her career. 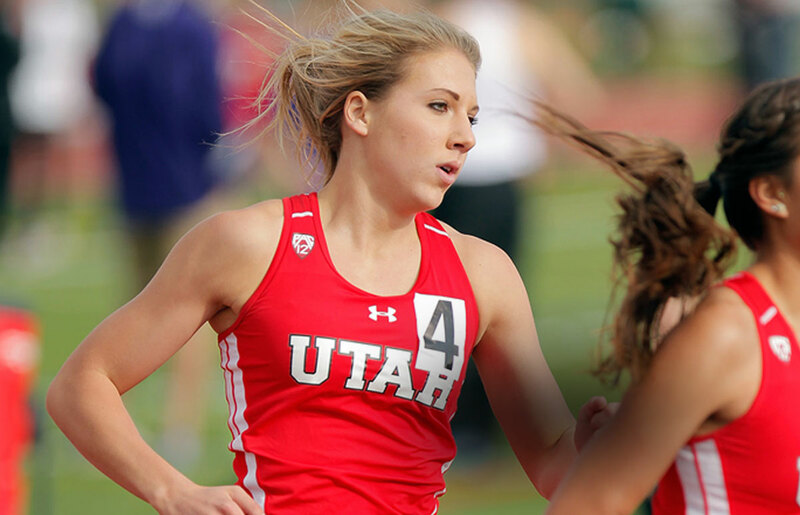 Wassum ranks seventh all-time at Utah in the indoor mile. 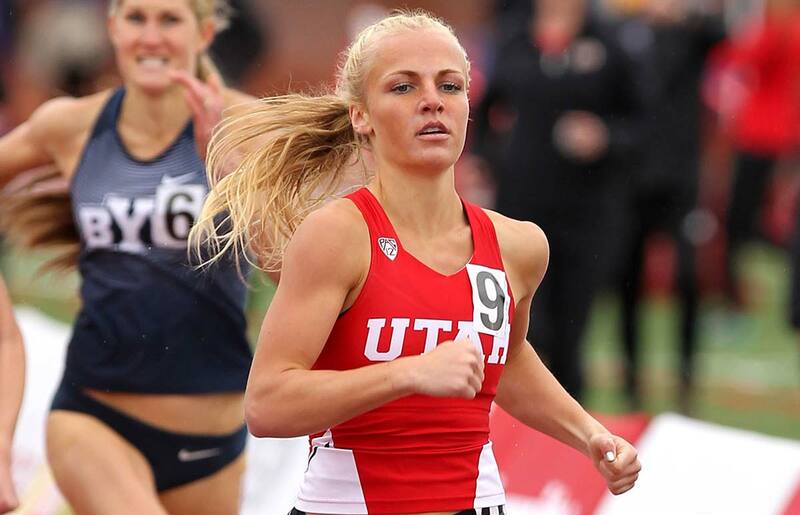 Junior Poppy Tank is Utah's fifth-best all-time in the indoor 3,000 meters and ranks ninth in the outdoor 5,000. 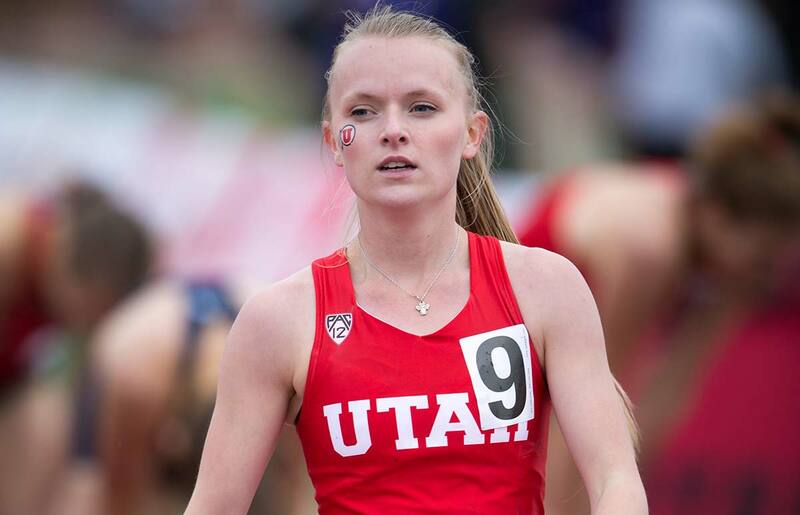 Bella Williams, who finished in 16th in the 3,000 steeplechase at the 2018 MPSF Championships, ranks 10th at Utah in the 3,000-meter indoor event as well as the steeplechase. 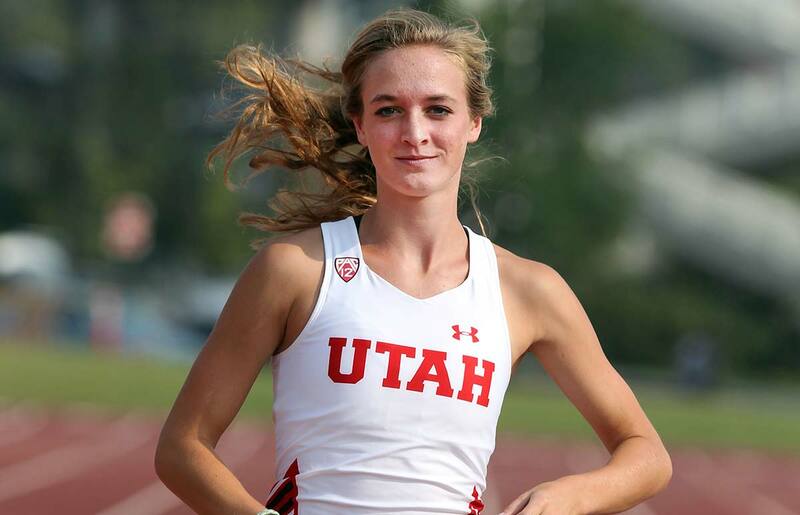 Freshman Scarlet Dale had an impressive cross country season to begin her Utah career. Skyler Blair, who hails from Beaverton, Ore., swept the 100 and 300 hurdles last year at the 6A state championships. Sophomore Ruby Jane Mathewson placed in top 25 in the 400 hurdles at last year's Pac-12 Conference Championships and has competed in the pentathlon. Senior transfer Kolbi Sims competed in the heptathlon at San Jose State and was the runner-up at the 2017 Mountain West Conference Championships. Senior Eliza Hansen finished 17th in the high jump at the 2018 Pac-12 Championships. Sophomore Regan Crofts competes in the javelin. 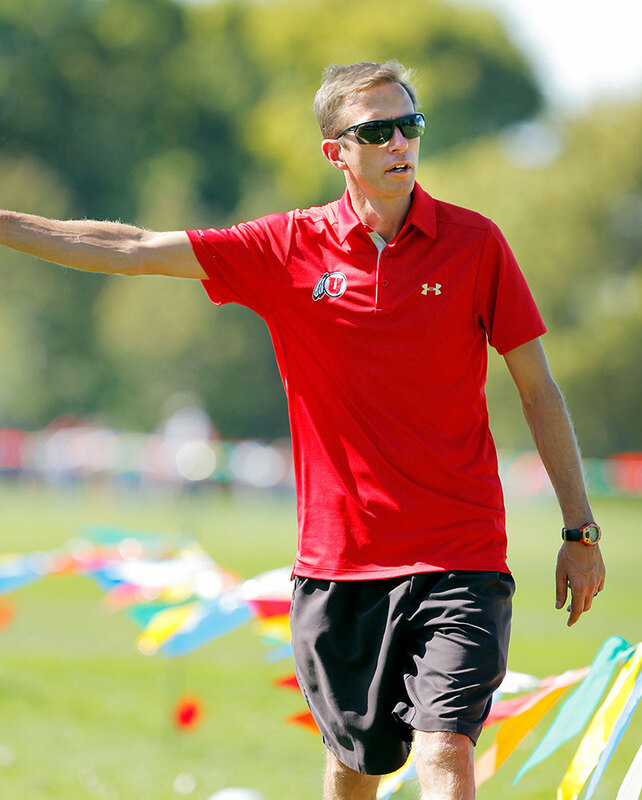 Kyle Kepler is in his 14th year as the head coach of the Utah women's cross country and track & field programs. Kepler's organization and attention to detail have allowed him to develop a solid foundation and create a competitive program that has steadily improved each year. 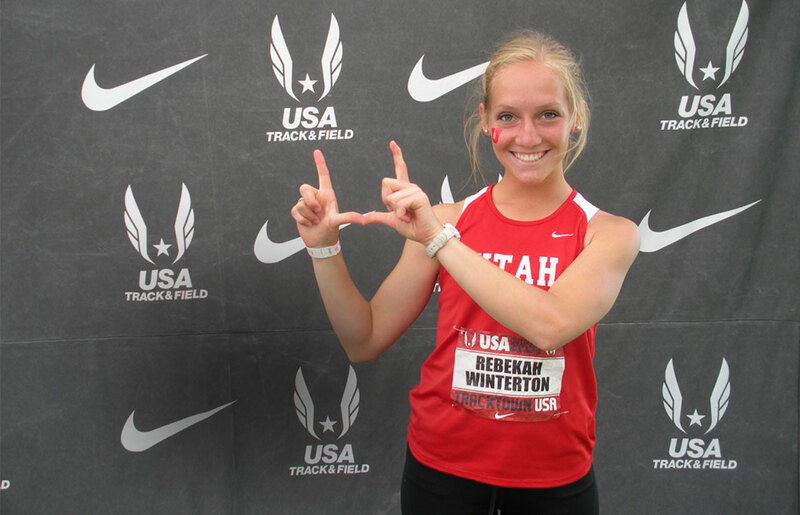 Kepler has coached five athletes to All-America honors at Utah. Distance runners Amanda Mergaert and Grayson Murphy were five-time All-Americans. Mergaert earned first-team honors in 2013 in the indoor mile and the outdoor 1,500 as well as cross country honors in 2012. Grayson Murphy was a two-time first-team All-American in the 3,000 steeplechase. 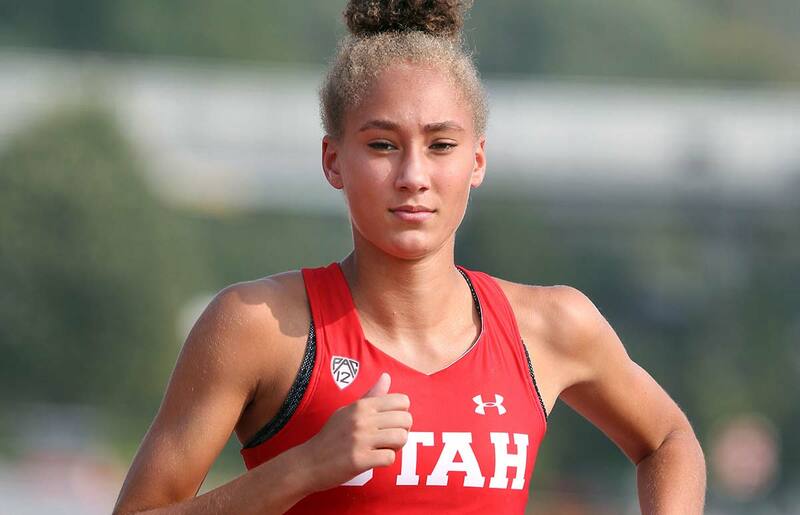 Langley Iverson (2011, indoor high jump), Brianna LeRoy (2012, outdoor high jump), and Rosalie Waller (2014, outdoor 800) have also earned All-America honors at Utah under Kepler. Under Kepler, 44 athletes have posted 91 NCAA Outdoor preliminary qualifying marks, and 10 athletes have advanced to the NCAA Outdoor Championships. 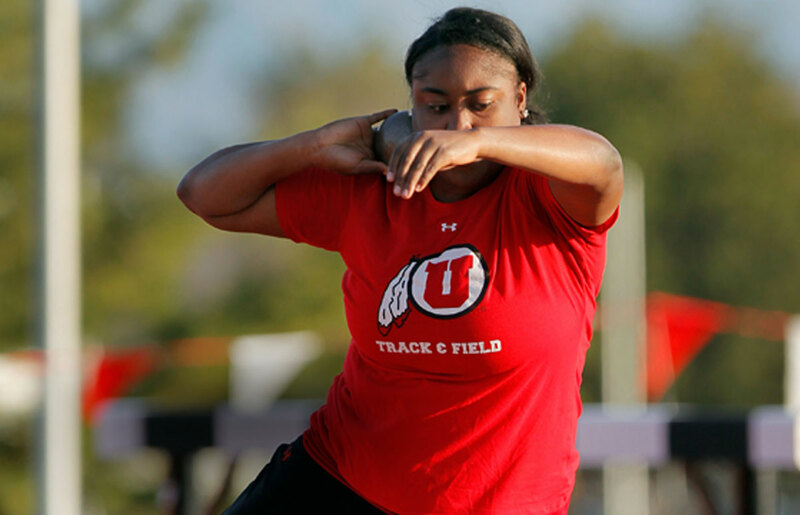 Utah has set 18 outdoor and 15 indoor school records since 2006. 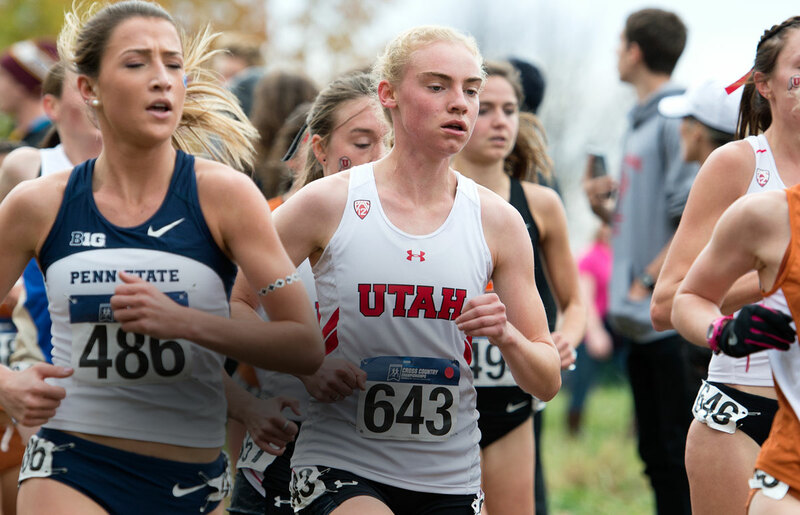 In cross country, the Utes qualified for the NCAA Championships as a team for the first time in their history in 2015 and repeated the feat in 2016. The Utes finished 20th as a team in 2016, improving six spots from the previous year's finish. 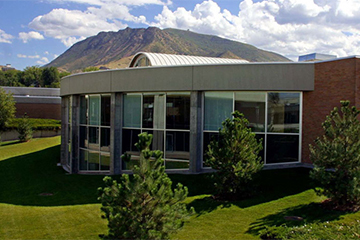 Utah has appeared in the national polls in each of the last four year and has been ranked as high as 17th in the nation—the highest mark in school history. Kepler has had athletes qualify individually for the NCAA cross country championship six times. 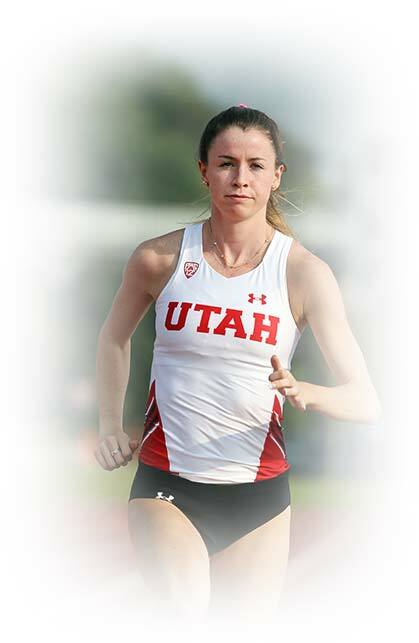 Murphy's eighth-place finish at the 2017 championships is the best finish for a Utah runner. 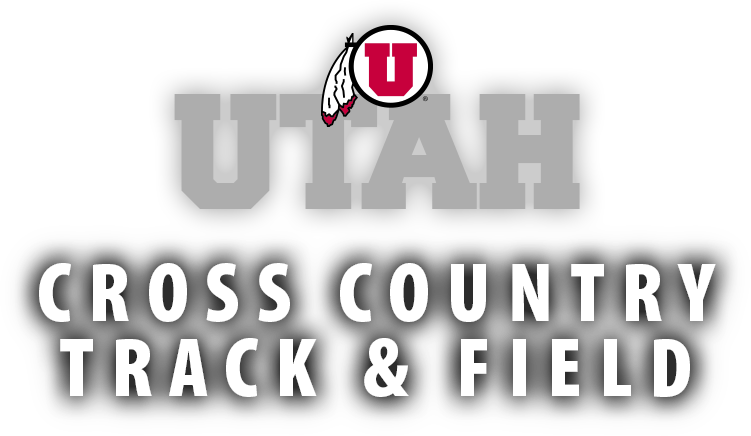 The Utes have had 10 runners combine for 18 all-region honors while four runners have earned six All-Pac-12 accolades. Kepler is in his 21th year coaching at the NCAA Division I level. Prior to coming to Utah, Kepler served as Northern Iowa's head men's and women's cross country coach and assistant track and field coach for two seasons. He was on staff at UNI for a total of seven years, serving as an assistant cross country coach for five years prior to being named head coach in 2003. Kepler is married to Hannah Vickery and they have a two-year-old daughter, Cora. Mackenzie Wartenberger is in her fourth season as an assistant track and cross country coach. 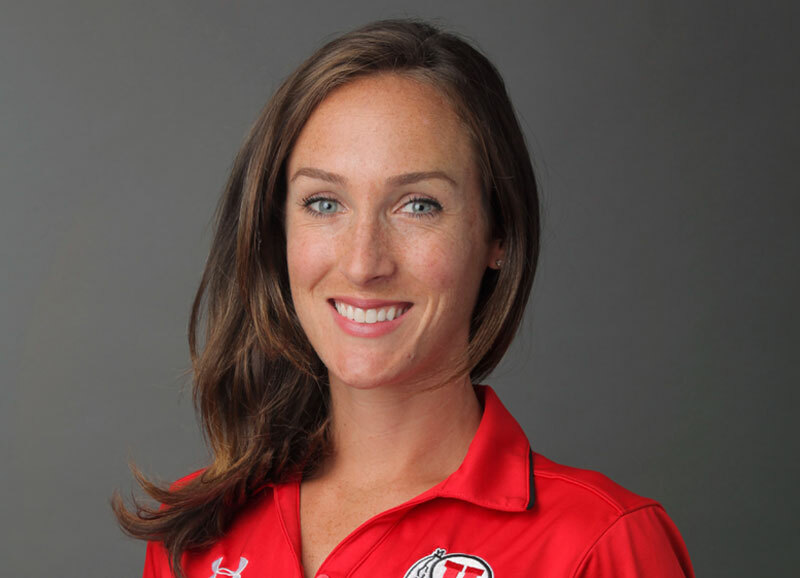 Wartenberger helped direct Utah to team appearances at the NCAA Cross Country Championships in 2015 and '16 with the team placing 20th during its second appearance. Utah has had five athletes earn nine all-region honors over the last four seasons. Wartenberger helped Grayson Murphy develop into a five-time All-American. In 2017, Murphy finished eighth at NCAA Cross Country Championships, the best-ever finish by a Utah runner. Murphy was a two-time first-team All-American in track in the 3,000 steeplechase. Wartenberger has also worked with Sarah Feeny, the school-record holder in the indoor 3,000. Utah set a school record in the distance medley relay in 2016, winning the Drake Relays in the event that year. 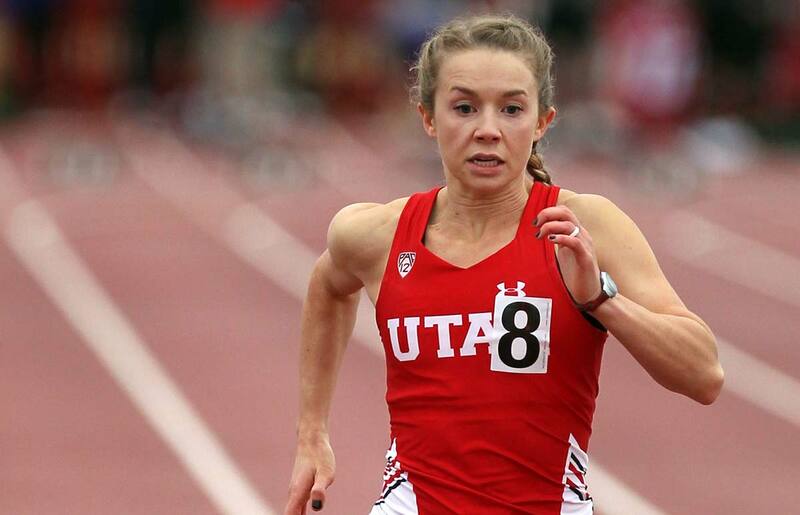 Utah has sent eight runners to the NCAA West Preliminary over the past three seasons. In two years at Radford, women's cross country placed third at the 2014 Big South Championships for its best finish since 1990. The men's squad finished fourth for its best placing since 2007. In track, the women's distance runners won six conference titles. She was also an assistant distance coach at UNC Charlotte from 2009-13, coaching three NCAA Outdoor Championships qualifiers. The North Carolina native is married to husband Marc. 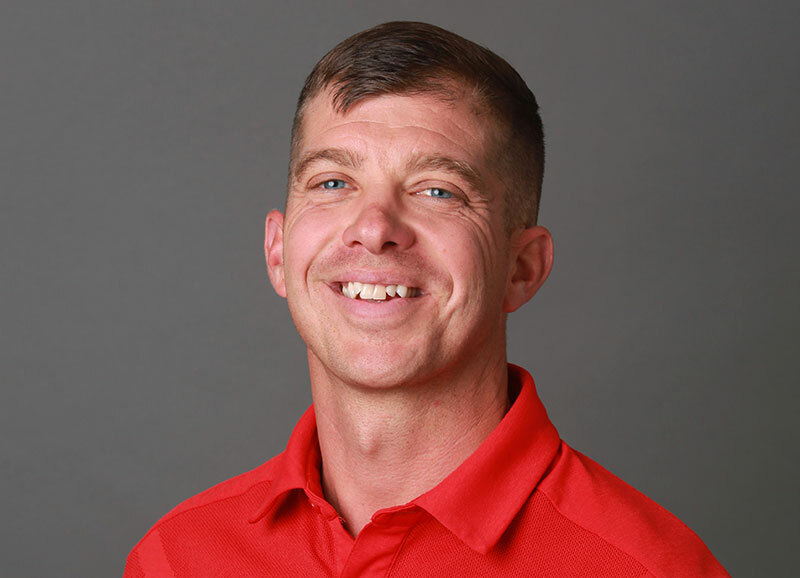 Chad Colwell is in his second season as an assistant coach for the Utes, overseeing the sprints, hurdles, jumps and multi-event athletes. Colwell previously served as assistant women's track and field coach at San Diego State. The Aztecs were ranked 16th in the final 2017 USTFCCA poll. While working at SDSU, Colwell was a volunteer assistant coach at the Chula Vista Elite Athlete Training Center (formerly the Olympic Training Center), working with respected jumps coach Jeremy Fischer. Colwell was an assistant coach at Portland (2013-16), head coach at St. Martin's (2012-13) and head coach at Great Falls (2011-12). While working towards his master's degree, Colwell was a two-year volunteer assistant at Duke University. He was also an assistant coach at Cal Poly Pomona (2007-08) and Eastern Oregon University (2004-06), where he earned his bachelor's degree. Back-to-back appearances at the NCAA Championships in 2015 and 2016. Utah qualified as a team for the first time in 2015 and returned to record their all-time best finish of 20th in 2016. Placed fifth at both the 2015 and 2016 Pac-12 Championships, then came in sixth with the program's lowest point total in 2017. Utah finished third at NCAA Regionals in 2015, came in fourth in 2016 and fifth in 2017. Six individual NCAA qualifiers in the last 10 seasons, all of them finishing in the top 90 at the NCAA Championships. Achieved the highest ranking in school history of No. 17 in 2016. Utah was ranked in the top 30 all year in 2017. Grayson Murphy placed eighth at the 2017 NCAA Championships-the highest finish ever by a Ute-to earn All-America honors. Amanda Mergaert placed 14th at the 2012 NCAA Championships and was named an All-America. Five Utes have earned All-Pac-12 Conference honors since 2011, including Hannah McInturff (10th place in 2015) and Grayson Murphy (12th place in 2016, 5th place in 2017). Utah's first ever All-Pac-12 Conference honoree in any sport was Amanda Mergaert, who earned second-team honors in 2012. Grayson Murphy (center) had the highest individual finish in school history by placing eighth at the 2017 NCAA Cross Country Championships. Under Kyle Kepler, 44 athletes have posted 91 NCAA Outdoor preliminary qualifying marks and 10 athletes have advanced to the NCAA Outdoor Championships. 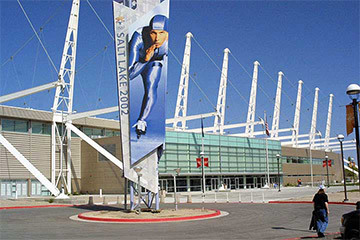 Utah's NCAA Regional Championships attendees increased from five in 2006 to as many as 10 in 2013. 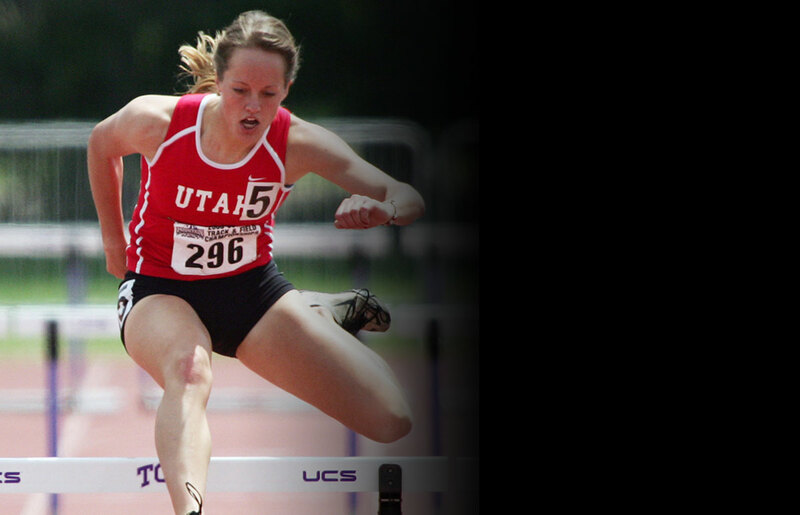 The Utes have also send three athletes to the NCAA Indoor Championships during that time. Grayson Murphy was a four-time NCAA qualifier (indoor 5,000 and outdoor 3,000 steeplechase in both 2017 and 2018) during her two-year career. She recorded three top-10 finishes, including fifth in the steeplechase in 2017 and six in 2018. Amanda Mergaert (2011-13, 1,500) and Chelsea Shapard (2007-09, 400 hurdles) were both three-time NCAA attendees. Mergaert finished third in the 1,500 at NCAAs as a senior in 2013. She was the 2011 USTFCCCA Mountain Region Women's Track Athlete of the Year. In its first seven years in the Pac-12, Utah had six podium finishes and 33 top-eight finishes at the outdoor championships. Grayson Murphy was the 2018 Pac-12 runnner-up in the steeplechase. 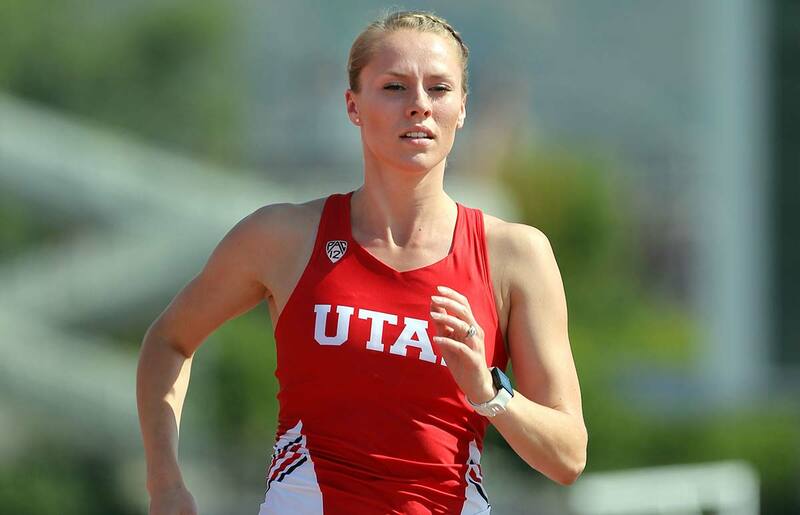 Two Utes have won Mountain Pacific Sports Federation indoor track championships: Amanda Mergaert (Mile in 2012) and Rebekah Winterton (5000m in 2014). Since 2010, Utah has had one U.S. Senior Nationals qualifier, one U.S. Olympic Trials qualifier, and eight U.S. Junior National qualifiers. Of the eight Utes who competed at U.S. Junior Nationals, six have medaled (finishing in the top six). Grayson Murphy was the top collegiate finisher with seventh-place finish at the 2018 USA Track & Field Outdoor Championships. Sarah Feeny was a bronze medalist at the 2015 Pan American Juniors and a silver medalist at the U.S. Juniors in the 1500 meters. In 2016, Chrissy Glasmann finished sixth in the javelin at U.S. Junior Championships. 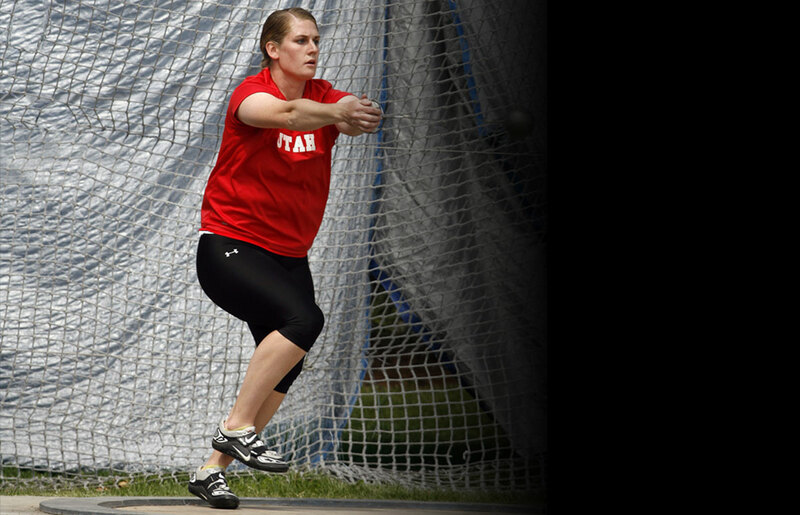 Utah has set 18 outdoor and 15 indoor school records since 2006. Kyle Kepler has coached five athletes to All-America honors at Utah. Amanda Mergaert was a five-time All-American with her career culminating in first-team honors in cross country in 2012 and the indoor mile and the outdoor 1,500 in 2013. Grayson Murphy was five-time All-American (twice in both the indoor 5,000 and the outdoor 3,000 steeplechase, and once in cross country) from 2016-18. 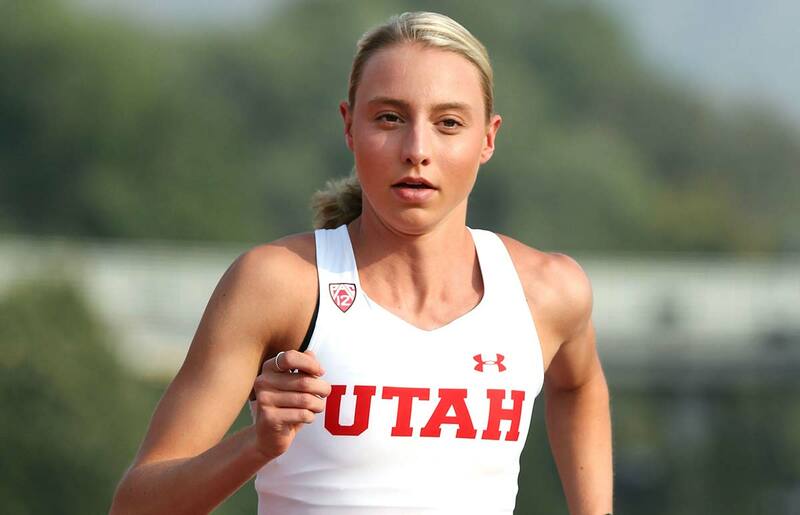 Langley Iverson (2011, indoor high jump), Brianna LeRoy (2012, outdoor high jump), and Rosalie Waller (2014, outdoor 800) have also earned All-America honors at Utah under Kepler. Kyle Kepler's cross country teams have earned USTFCCCA All-Academic Team honors 11 years while his track teams have earned honors seven times. His athletes have combined for 52 individual honors from the USTFCCCA between track and cross country. Lauren Endersen was a two-time CoSIDA Academic All-American in 2008 and 2009, while Rosalie Waller was honored in 2014. 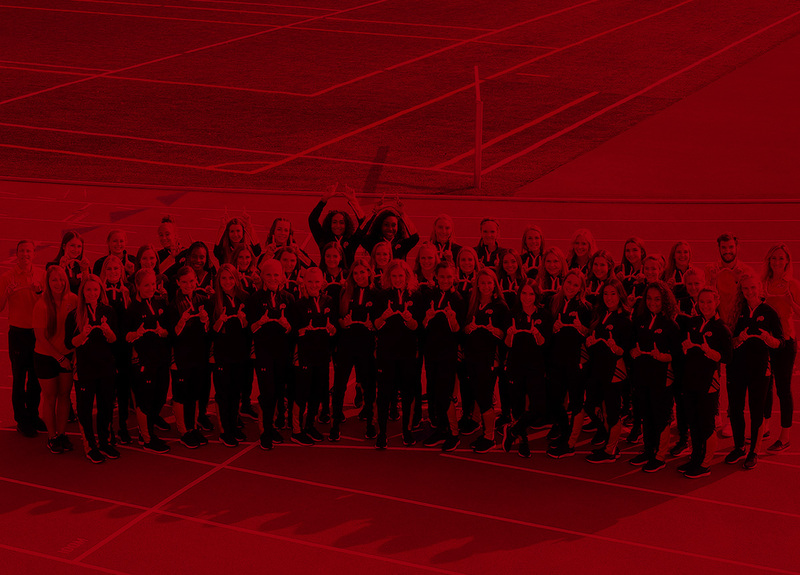 Since Utah joined the Pac-12 in 2011-12, the Utes have earned 60 league all-academic cross country and 113 league all-academic track accolades, in addition to 98 MPSF all-academic honors. 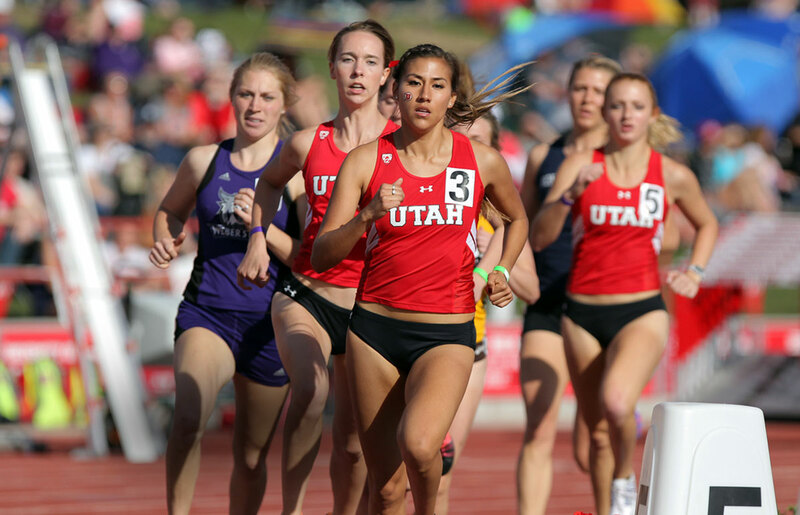 14 women have claimed 29 All-America awards all-time at Utah, with 22 coming in track & field and seven in cross country. Utah athletes have earned 12 All-America citations since 2010. Grayson Murphy, who transferred to Utah for her final two seasons, is the program's second five-time All-American. 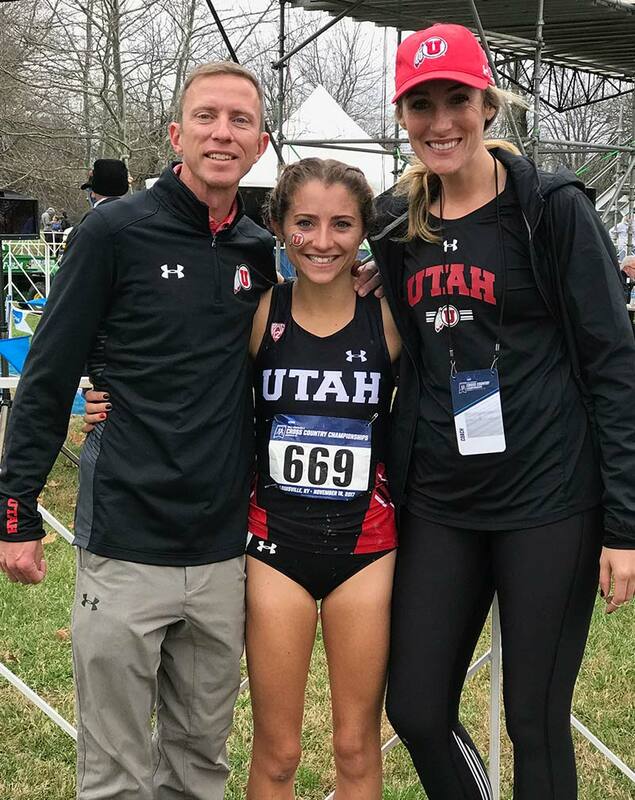 She is the first Ute to become a four-time All-American in track & field (indoor 5,000 and outdoor 3,000 steeplechase, 2017-18), and she earned All-America honors in cross country in 2017. Amanda Mergaert became the school’s first five-time All-American. 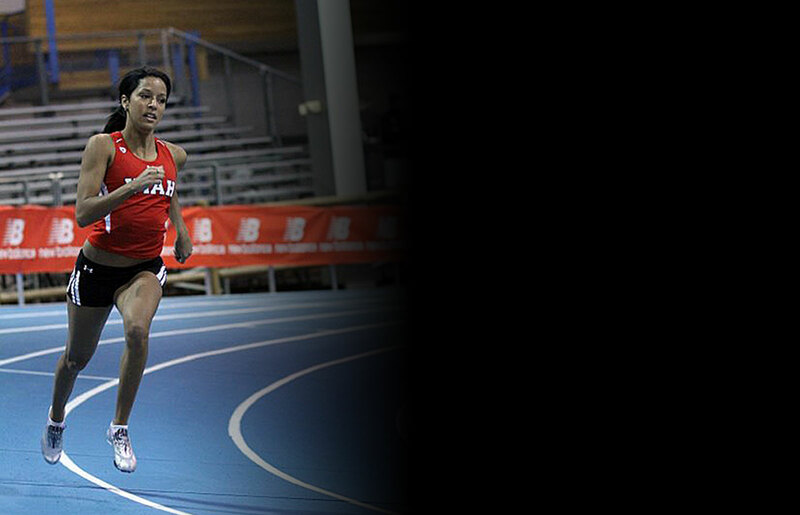 She was an All-American three times in the 1,500m—she placed third in the event in 2013 to earned first-team honors and was a second-team honoree in 2011 and ’12. Mergaert was also an All-American in indoor track by placing fifth in the mile 2013. 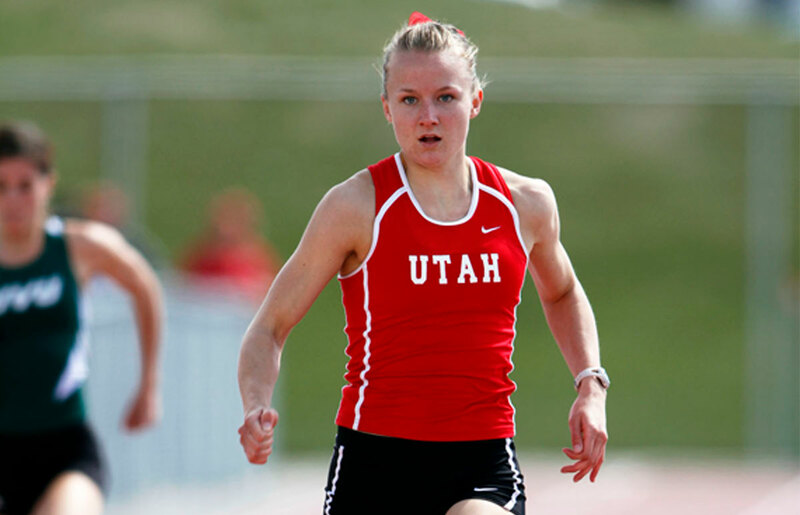 In cross country, Mergaert placed 14th at the 2012 NCAA Championships, which is the highest finish ever by a Ute. Jill Molen was a four-time All-American, earning honors in cross country in 1981 and three times in track in 1982 (3 Mile, 5000m, 10000m). She was the 1982 national champion in the 10,000 meters. Carla Pittelkow was an All-American in cross country in 1981 and twice in track 1982 (1500m, 5000m). 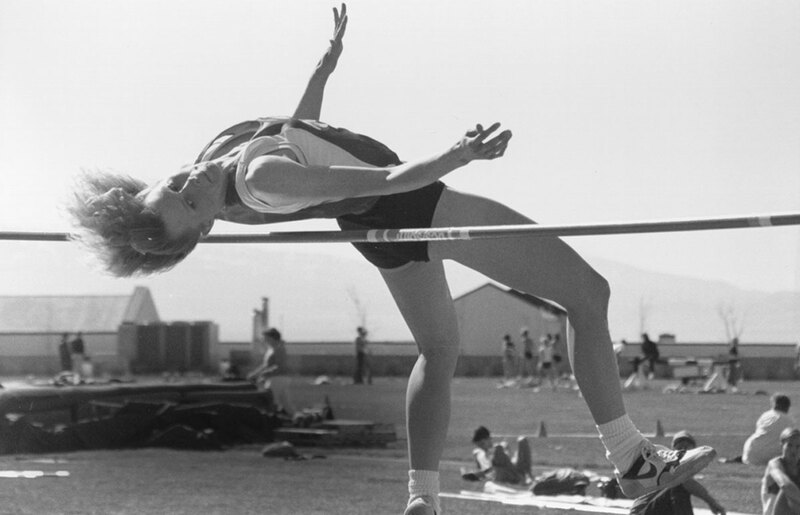 Brenda Alcorn was a two-time All-American in the high jump (1989 and ’91).